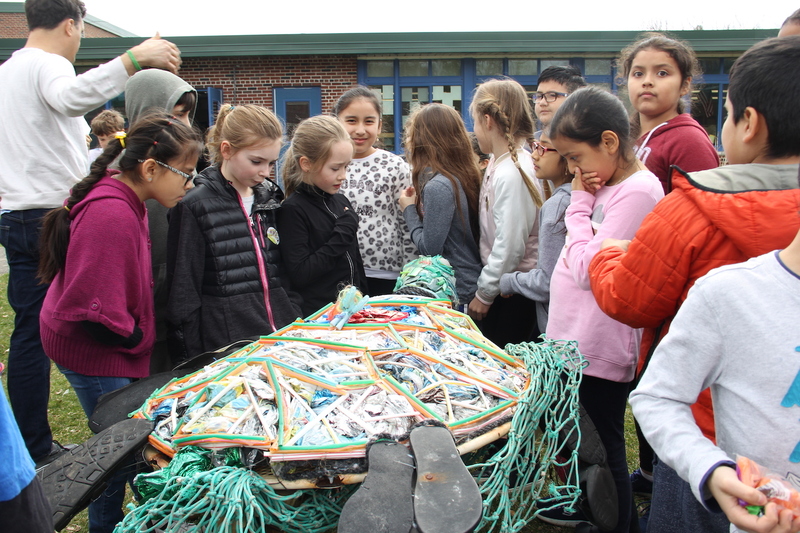 Creatively coined “Eli” after Eastern Long Island, this sea turtle was created by Carolyn Munaco using solely marine debris found on our coastline. Eli made his debut as part of Surfrider’s St. Patricks Day Float, and has since been traveling around schools and community groups of the East End as an installable art piece to educate about the prevalence of plastic pollution in our seas, and ways in which we can all become part of the solution. 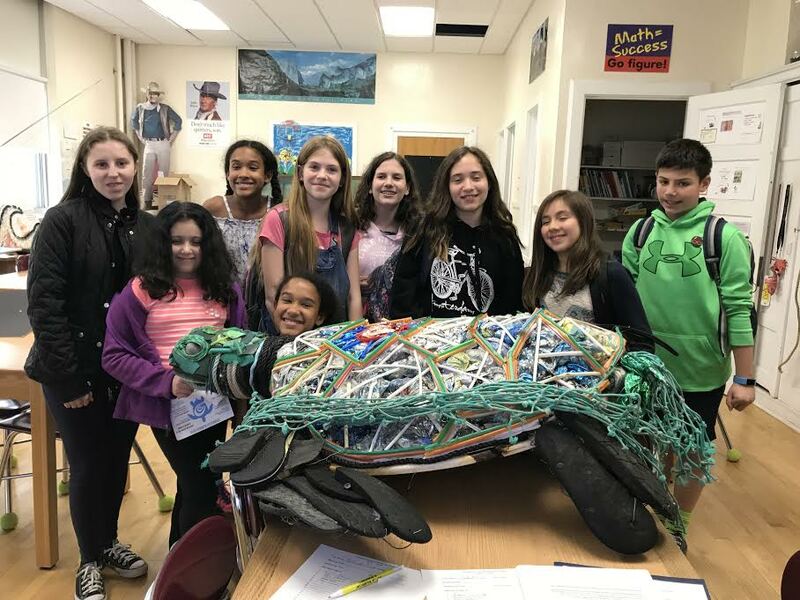 When bringing Eli the Turtle to schools, our Chapter accompanies his drop-off with an education program highlighting ways students can help fuel Strawless Summer, a program in which restaurants pledge to stop providing plastic straws. When asking students what happens when plastics get into our oceans, the most common response is “fish and sea life can eat plastic and make them sick.” For students, Eli the Turtle symbolizes plastics in our oceans, and everything plastics in our oceans represents. Eli the Turtle serves as an allegory for what our oceans would look like if we continue on the same path we are on. Eli has become the poster child of our chapter’s Strawless Summer program, and continues to fuel the anti-plastic movement within the East End of Long Island. If you are interested in doing an education program, or in hosting Eli the Turtle for an event, contact Colleen at chenn@surfrider.org. Keep an eye out, Eli may be coming to an event near you!